Thanks to their functionality and high calculating power, vision systems are widely used in industrial application fields including “Fault recognition and checking of measurements within tolerance”. No optical measurement system can be considered free from limitations due to the dimensions of the parts being examined and to the lighting method. Often the inspection of faults is carried out with vision systems based on many video cameras and traditional lighting devices, with high installation and calibration costs. To reduce the costs linked to the number of cameras and lighting devices in the measurement system. To control 100% production with an increase of the production and calibration rates. Replacement of traditional video cameras and of the lighting system with just one instrument: the Laser scanner. Immunity from colour contrast of parts and from disturbances of the environmental light. 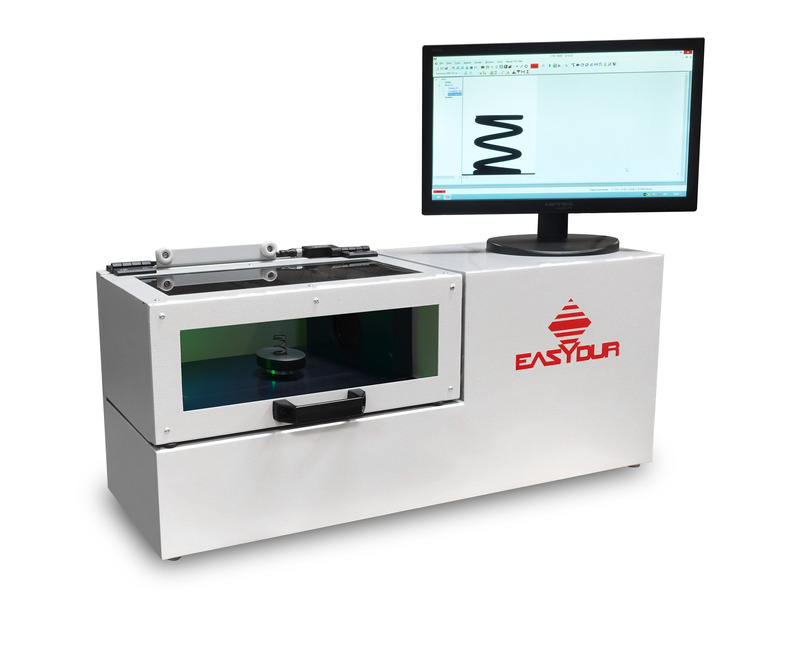 3D measurement system with resolution up to +/-0.05 mm without requiring calibration operations. Simplification of automation and of plant maintenance. The innovative method of control and the sophisticated software algorithms applied to the images guarantee high efficiency of the optical control and the reliable measurement of all the dimensions of the spring contemplated by the legislation in force.